Wellington, July 26 NZPA - Young people and recidivist drink drivers won't be allowed any booze before hitting the roads, but the Government is yet to make up its mind over whether other drivers should face lower limits. Transport Minister Steven Joyce announced today a zero drink drive limit for recidivist drink drivers and drivers aged under 20 from early next year. It will be imposed on drivers after their second drink driving conviction and is likely to last three years after their disqualification period ends. Drivers who caused death because of dangerous or drunken behaviour will face tougher jail sentences and the Government will introduce alcohol interlocks -- devices which stop a vehicle from starting if the driver has been drinking -- for repeat drink drivers. The interlocks will be user pays and be used at a judge's discretion. They cost about $150 a month. However, Mr Joyce said the Government was yet to decide on whether to lower the blood alcohol limit from 80 milligrams of alcohol per 100 millilitres of blood to 50mg and wants more research done first. Alcohol was a factor in almost one in three fatal crashes. "By targeting those identified as most likely to break the law - namely those with a history of offending and young people - we're confident we'll have a significant impact," Mr Joyce said. The Government would decide whether to lower the level more generally after conducting New Zealand-specific research on the level of risk posed by drivers with a blood alcohol limit of between 0.05 and 0.08 (50mg-80mg). People involved in an accident where the police suspect alcohol was a factor will be asked to take a breath test. If they pass they will have to take a secondary test to measure their level of alcohol. Currently people who pass the first test are not required to take a second one. A law change is required to enable police to gather the data and that will take two years to complete after the legislation is passed. "We need to ensure that New Zealanders understand the difference between 0.05 and 0.08 and what the likely impact a change would have on the road toll," Mr Joyce said. There needed to be broad support from road users for any changes because the police could not be everywhere, Mr Joyce said. It was clear New Zealand had a sizeable drink driving problem. "If we can get it under control, we'll see a significant reduction in the overall road toll."
? 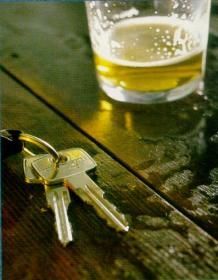 Drink drug driving causing death.
? Dangerous reckless driving causing death.
? Illegal street racing causing death.
? Failing to stop after a crash when someone is killed. The maximum prison term for dangerous reckless driving causing death will be doubled to up to 10 years in prison. Charges of manslaughter or murder could still be used at police discretion.